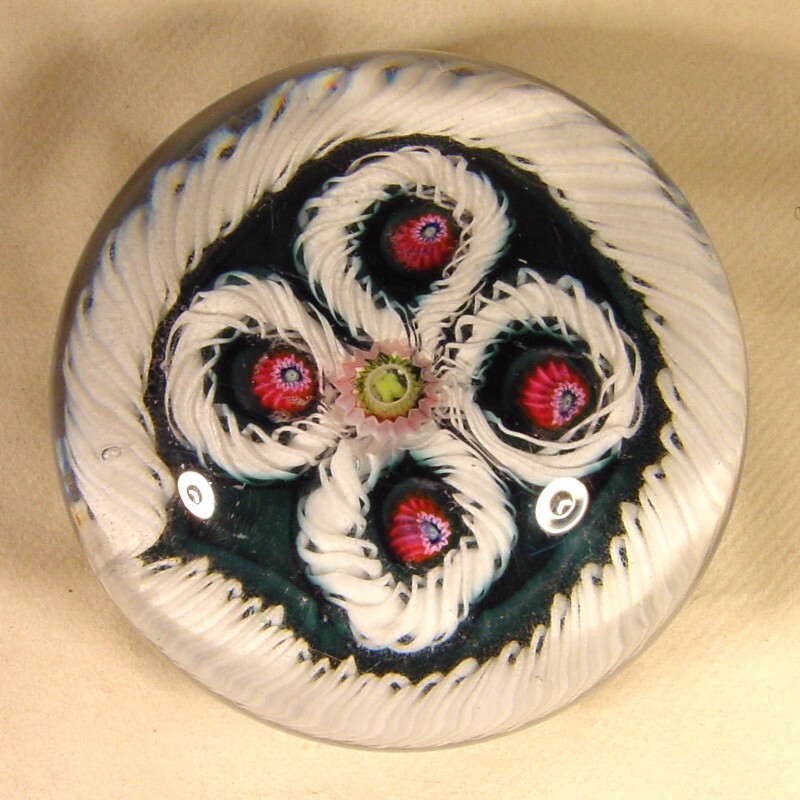 Antique magnum Val Saint Lambert paperweight with a central pink-yellow cog cane and 4 double-spiralled white filigree loops with a red cog cane in the centre. The loops are surrounded by a large white filigree spiral and mounted on a teal coloured ground. Size : 87mm Diameter, 55mm High, Weight : 813 grams.